David Manning (26): Bolton Road, Ashton - Drink driving with 72 microgrammes of alcohol in 100 millilitres of breath, with the legal limit being 35 microgrammes, failed to give their details after a road accident, drove without due care and attention: Community order for 12 months with unpaid work for 150 hours, pay a surcharge to fund victim services of £85, pay costs of £85 to the Crown Prosecution Service, disqualified from driving for 20 months. 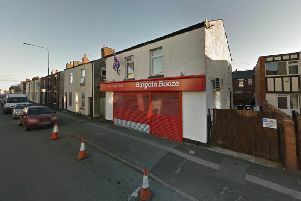 Stephen Small (38): London Fields, Billinge - Drink driving with 104 microgrammes of alcohol in 100 millilitres of breath, with the legal limit being 35 microgrammes: Community order for 12 months with unpaid work for 80 hours, pay a surcharge to fund victim services of £85, pay costs of £85 to the Crown Prosecution Service, disqualified from driving for 26 months. Alysha Marie Clayton (29): Prestt Grove, Wigan - Stole bedding to the value of £104 belonging to The Range: Discharged conditionally for 18 months, pay a surcharge to fund victim services of £20, pay costs of £85 to the Crown Prosecution Service. Lee Francis Hitchen (39): Radnor Close, Hindley Green - Drink driving with 133 microgrammes of alcohol in 100 millilitres of breath, with the legal limit being 35 microgrammes: Community order for 12 months with alcohol treatment requirement, pay a surcharge to fund victim services of £85, pay costs of £85 to the Crown Prosecution Service, disqualified from driving for 12 months. Lauren Campbell (25): Yewdale Road, Ashton - Harassment of Lauren Hodge by repeatedly sending her unwanted electronic messages, making calls and threatening to attend her work and home: Discharged conditionally for 12 months, restraining order not to contact Lauren Hough or enter Battersby Street, Leigh, or drive along it, pay a surcharge to fund victim services of £20, pay costs of £85 to the Crown Prosecution Service. Andrew Stringfellow (27): St Annes Drive, Shevington - Drove on Winstanley Road, Wigan, without due care and attention, failed to stop at the scene of an accident, failed to report an accident to police, drove without insurance: Fined £520, driving record endorsed with seven penalty points, pay a surcharge to fund victim services of £30, pay costs of £85 to the Crown Prosecution Service. Robert Daniels (40): Ruskin Crescent, Abram - Drove while disqualified and without insurance: Jailed for 12 weeks suspended for 12 months, curfew for six weeks, pay a surcharge to fund victim services of £115, pay costs of £85 to the Crown Prosecution Service. Lindsay Hill (32): Park Avenue, Golborne - Possession of a vehicle that did not meet insurance requirements: Discharged conditionally for six months, pay a surcharge to fund victim services of £20, pay costs of £85. 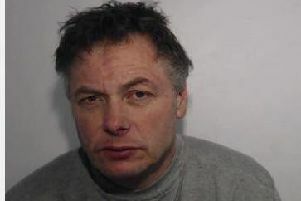 Nicholas Mitsi (58): Haddon Street, Ashton - Drink driving with 40 microgrammes of alcohol in 100 millilitres of breath, with the legal limit being 35 microgrammes: Fined £282, pay a surcharge to fund victim services of £30, pay costs of £85 to the Crown Prosecution Service, disqualified from driving for 12 months. Adam Craig Cunliffe (27): Hunter Road, Wigan: Stole meat products to the value of £175 belonging to Tesco, stole air fresheners to the value of £248 belonging to B&M Bargains: Pay £264 compensation, jailed for two months. Denis Bailey (60): Hollins Close, Ashton - Drove at over 30mph in a speed restricted area: Fined £180, pay a surcharge to fund victim services of £30, pay costs of £100, driving record endorsed with three points. Peter Terry McHugh (40): No fixed address - Possession of a bladed article, a box cutting tool, in Gidlow Lane, Wigan: Jailed for four months, suspended for 24 months, pay a surcharge to fund victim services of £85, pay costs of £85 to the Crown Prosecution Service.